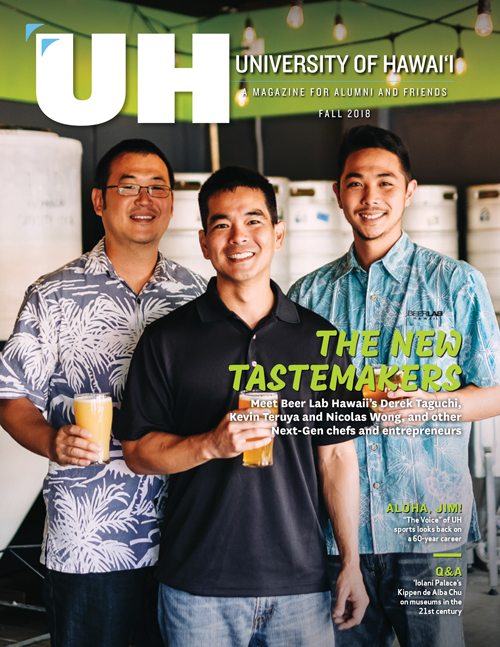 Raising Cane’s and Panda Restaurant Group recently partnered to bring Raising Cane’s, the popular Louisiana-based chicken fingers restaurant, to Hawai‘i! 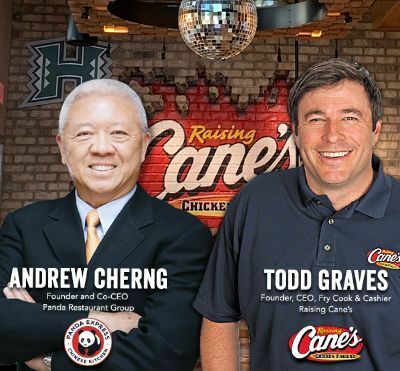 To celebrate the opening of the first Raising Cane’s in Honolulu, Todd Graves, Founder and CEO of Raising Cane’s, and Andrew Cherng, Co-founder and Co-CEO of Panda Restaurant Group, will share their entrepreneurial journeys and how they have grown their brands into industry leaders. What began as a dream in college, Raising Cane’s has grown from a single restaurant outside the North Gates of Louisiana State University in 1996 to over 430 restaurants in 26 U.S. states and 5 countries in the Middle East. Todd Graves’s entrepreneurial journey began with a business plan that got the worst grade in a college business class, which then led him to work in refineries in California and commercial fishing in Alaska to raise money to open the first Raising Cane’s. Two decades later, Raising Cane’s is one of the fastest growing restaurant companies in the U.S. and is continually recognized for topranking customer satisfaction. Named one of the Top 100 CEOs by Glassdoor, Graves’s passion for his crew, his customers and his community is the driving force behind the Raising Cane’s success story. Andrew Cherng is the Co-founder, Co-Chairman, Co-CEO and visionary behind Panda Restaurant Group, the largest family-owned and operated Asian dining concept. The restaurant group has more than 2,200 stores across 49 states, Guam, Puerto Rico and over 10 countries in North America, Asia, Europe and the Middle East. His business insights have propelled Panda to become the world leader in Asian dining experiences, while his passion for continuous learning inspires a culture where associates are dedicated to developing their full potential. Andrew’s business acumen has been recognized by Forbes magazine, the Los Angeles Business Journal, and the Asia Society of Southern California. He was conferred an honorary Doctor of Humane Letters by California State Polytechnic University, Pomona. Additionally, Panda Express is recognized as a seven-time Best Place to Work by Hawaii Business Magazine.